I have a thing for jellyfish. I keep Monterey Bay Aquarium’s live jellyfish cam bookmarked for stress relief. I could probably watch jellyfish float all day and be content. But jellyfish aren’t my only underwater loves. 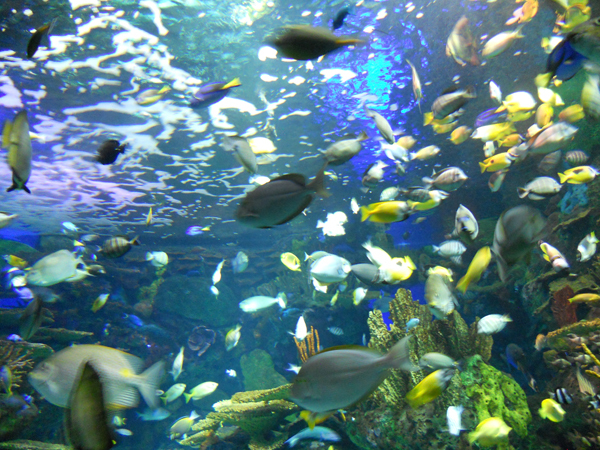 Aquariums are one of my favorite places to visit and I haven’t been to one since high school. 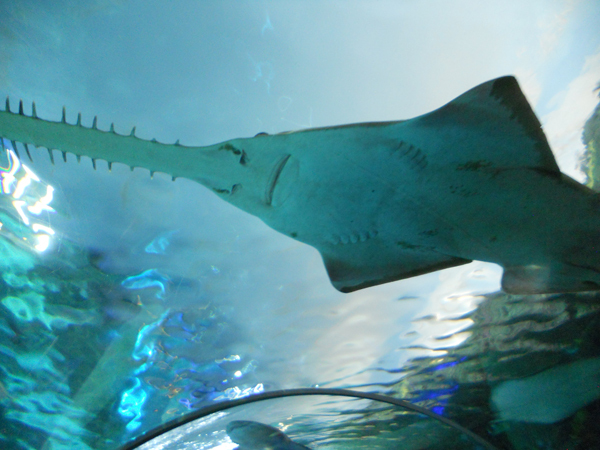 So when my in-laws asked if we wanted to visit Ripley’s Aquarium in Toronto, my answer was heck yeah! Unfortunately the octopus was hiding the day we visited the aquarium, even though we swung back to his enclosure an extra time to see if we could catch him. Bummer. But there were lots of other amazing things to see. We started the day watching brightly colored lobsters fight over choice cave spaces. There were some truly epic-sized dudes. 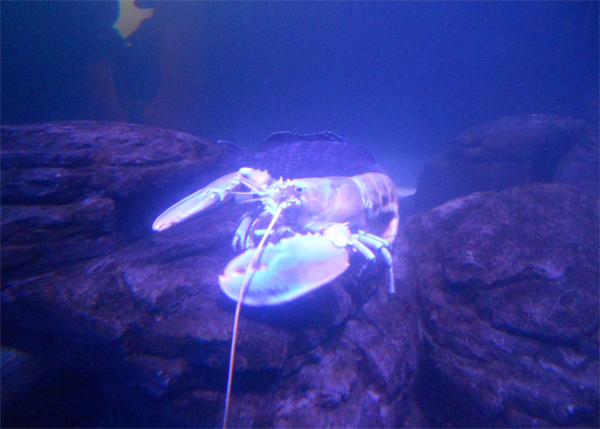 If one of the big guys had a shady space and a smaller lobster approached, they would simply pop their head and claws out to chase the interloper away. It was kinda fun to watch. I don’t think I’ve ever seen lobsters that big. I spent some time with my mother-in-law watching sea plants and coral reefs. It sounds as exciting as watching paint dry, but it’s actually fascinating. The plants are obviously alive, with little tendrils that pop out of hiding spaces if you watch closely enough. I think my favorite tank was the Pacific Kelp tank. It was absolutely massive, with viewing areas above and below. There were a plethora of sea creatures amid the waving kelp. 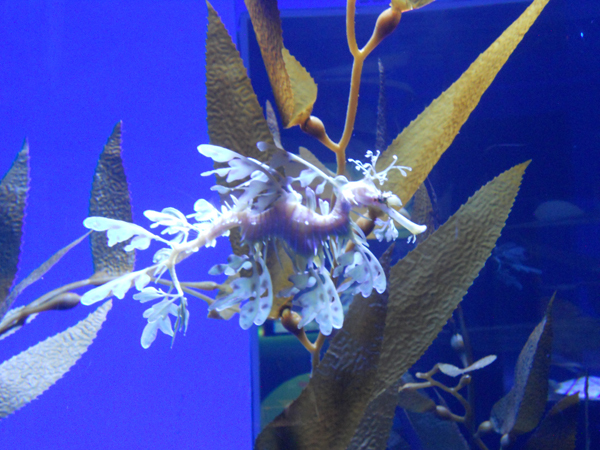 We watched long enough to see some venture out of hiding, including a big guy that reminded me of a sea dragon. Though he was nothing like the actual sea dragons. Which are beautiful, by the way. The neatest part of the aquarium was, by far, the dangerous lagoon. 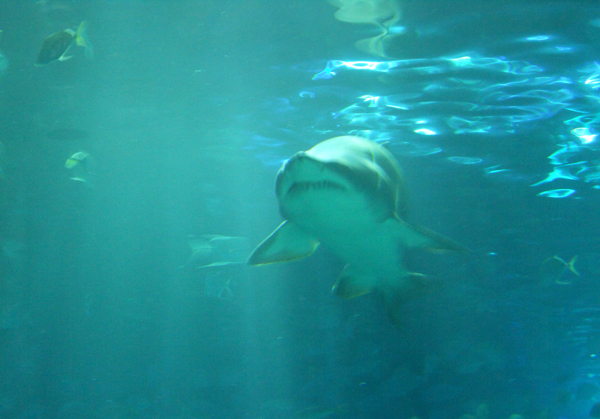 Most aquariums have some kind of shark tunnel. This one has a conveyor belt you can ride through its extensive shark and ray area. The neatest thing about it is the sharks swim both beside and above you, which makes for some amazing photo opportunities. Especially when one of the sharks decides to nap on the roof of the tunnel for awhile. I’ve always loved watching rays, though pictures can’t really do their majesty justice. They look like they’re flying underwater. Such grace. While we stood next to one of the ray tanks, talking, a random ray dropped down from above, giving me and my mother-in-law a bit of a shock. 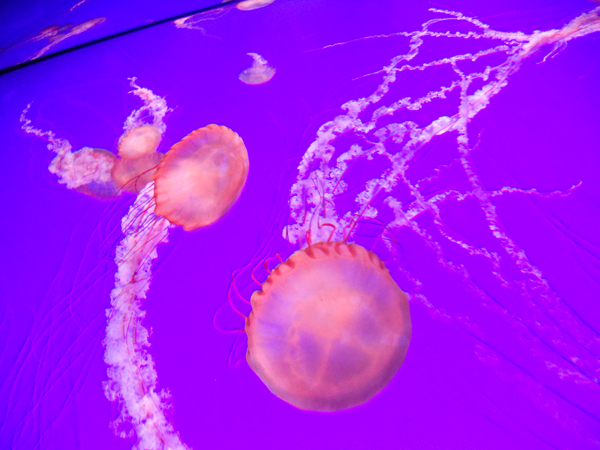 Of course, we spent a lot of time at ‘planet jellies.’ I could probably spend an entire day there. This area had lots of tanks for different types of jellies, all with different ambient lighting. At one point my husband told me to look down and I realized they even had some small tanks in the floor! 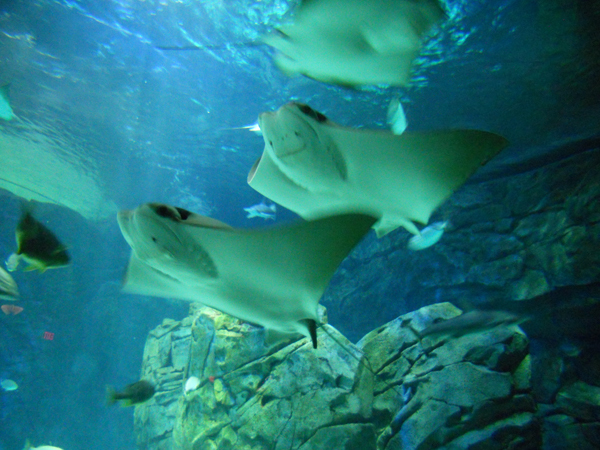 At the end of the aquarium, you can look down on the tank where the sharks and rays swim from above. You can pet any of the rays that swim into the shallows, though the sign does ask that you refrain from petting the sharks. 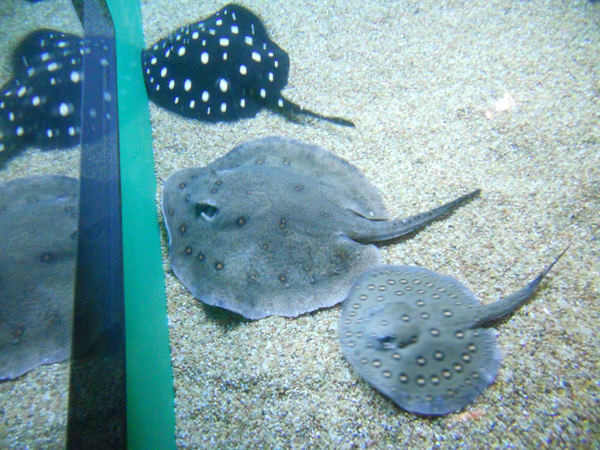 Just before we left, we saw a family in the water feeding the rays. It must be an activity you can pay for. Another little girl saw this and asked her dad to take her shoes off. She was determined to take a swim. Of course, she was not pleased when her father explained she couldn’t go swimming in the fish tank. All in all, it was a wonderful day. 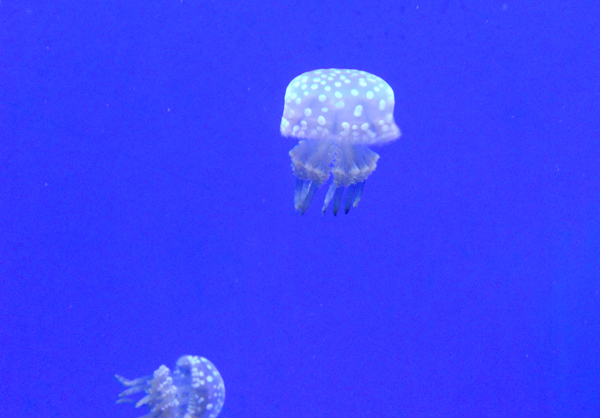 We’re hoping to swing by the aquarium in Vancouver sometime next month (and probably will have by the time this goes live), and I hope to get lots more pictures of jellyfish to add to my collection. Maybe I’ll even get to see an octopus!